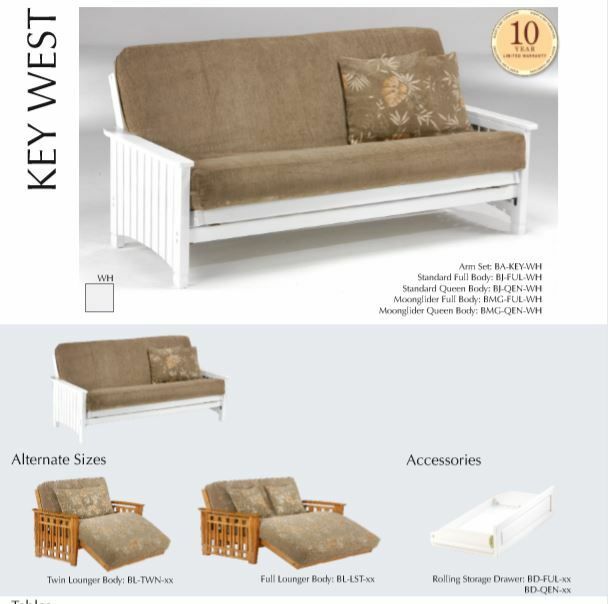 The Key West will be perfect for your Florida sun-room. If you don’t have one you’ll feel like you do! Shown above in White finish. 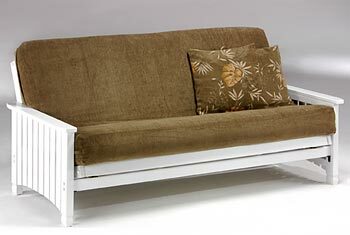 Our Standard Collection wood futon frames are built to last. These prime quality frames are made from the finest plantation grown materials and are constructed with traditional woodworking good sense. A broad range of products in a variety of handsome finishes makes the Standard Collection a smart choice for your home. All Standard Collection items come with a limited 10 year warranty.